honest account can “pass” in the heteronormative majority world, although many of my friends guffaw and protest when I claim that this is so! In most nursing gatherings, we see many strong women, and some men, who, while conforming to many norms of gender “presentation,” still show postures, behaviors, words and actions that clearly conform to mainstream hetero-reality of male-ness and female-ness. Do not get me wrong – there is nothing wrong with this particular presentation of self – the problem is that there is a certain conformity that makes those who “deviate” from the “norms” stand out as different. 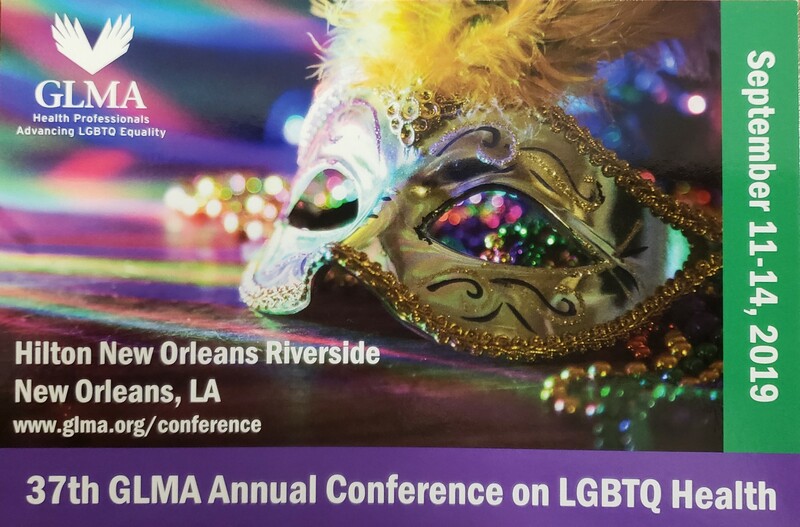 When we gather as a GLMA nursing Summit, the tables are almost turned, wherein we see, and celebrate, so many expressions of identity that the “norm” is close to a minority! For most of us there, we revel in the sense of being in the company of others who are showing our truth in visible ways – not to challenge any social or cultural norm, but simply to be who we are! Despite the utter joy and celebration of this and other LGBTQIA gatherings, it is important to recognize the challenges that come along for the ride. Together we represent not one, but many cultures – networks of others who fit (or mostly fit) where we are situated in the alphabet soup. All of us are challenging the dominant hetero-normative cultures in some way – even, and especially, our allies. But each of our alphabet groups have experiences, understandings, views of the world that emerge from their own particular identity. I believe we may have more in common with one another than differences, but for me, it still it tends to come as a surprise when I recognize the significant differences that I had not yet imagined. It is clear that each of us simply has a different “understanding” of the world. I know that I am still learning what it means to live in the spaces of identity that express who I am. I recognize that despite my 40+ years of being completely “out” as a lesbian, I am still a beginner – I am still learning the nuances, the language, the possibilities faced by each person whose identity is different from mine. As I experience the Summit, it seems clear that we are taking on the horrendous challenges of communicating with one another, being sensitive to one another’s experiences, and exercising the gentle art of generosity of spirit for those who are not yet “savvy” to another person’s particular ways of being. Sometimes I cringe when someone makes a “mistake” (such as using the wrong pronouns) – sometimes I cringe when I realize I made a “mistake” (such as using the wrong pronouns)!! But at least I cringe!! This is what makes it possible to move on, coming to a space where we become more confident in our own identities, while celebrating and appreciating the rich diversities of others! Despite these challenges – what a gift, a true delight, a rare and wonderful time it is when we come together (no pun intended!!!). If you are reading this and were not able to be in Philadelphia this year – plan now for Las Vegas – October 10th, and the GLMA conference through October 13th! I certainly plan to be there and hope you can too! ← Virtual Journal Club – Note From the Editor-in-Chief [of the AJPH]: Who Wants to Exclude Older LGBT Persons From Public Health Surveillance? Peggy, you never cease to amaze me!!! You have so articulately stated what I experience almost everyday. Of course, that should not surprise anyone who knows me and knows that I am in total awe of Peggy and want to be her if I ever grow up! I missed the Summit this year, but will be there in 2018 and more than ready to be immersed in a space with such a diverse, yet embracing, bunch of humans! I cannot tell you how much I missed that this year! Thank you for writing this and for posting it for us to remember what the GLMA Nursing Section provides (other than great information)!